On 4 November 2010, thousands of feet above the air in Singapore, a catastrophic explosion rocked an A380 flight en route to Sydney. In the cockpit, Captain Richard de Crespigny and his team worked tirelessly for hours to land the plane safely; not one of the 469 passengers or crew were injured. What could have been an utter catastrophe was avoided due to quick thinking, stellar teamwork, resilience and quality leadership in a crisis situation. 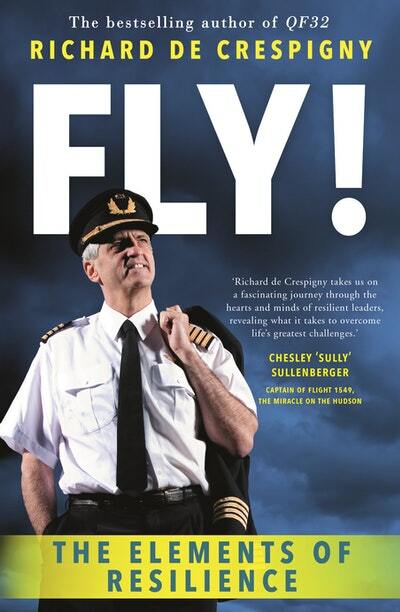 Richard’s new book, FLY!, looks at his years of experience in high-stakes situations, the mentors and leaders in his life who’ve had a profound affect on him, and the lifelong heroes who all helped mould him to the person that he is today. FLY! offers advice on how to build resilience, which can be used in your professional and personal lives. Don't miss hearing Richard speak of that night, and the lifetime of experience that enabled him to ensure no lives were lost that day, at this truly incredible event, thanks to North Lakes Library, Dymocks North Lakes and Penguin Random House. This is a free event, but bookings are recommended. Contact North Lakes Library for bookings and enquiries.